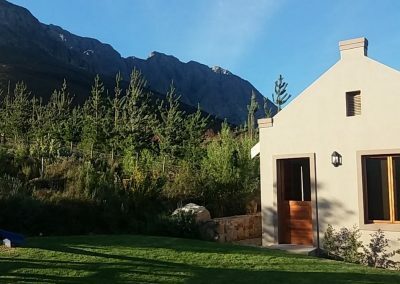 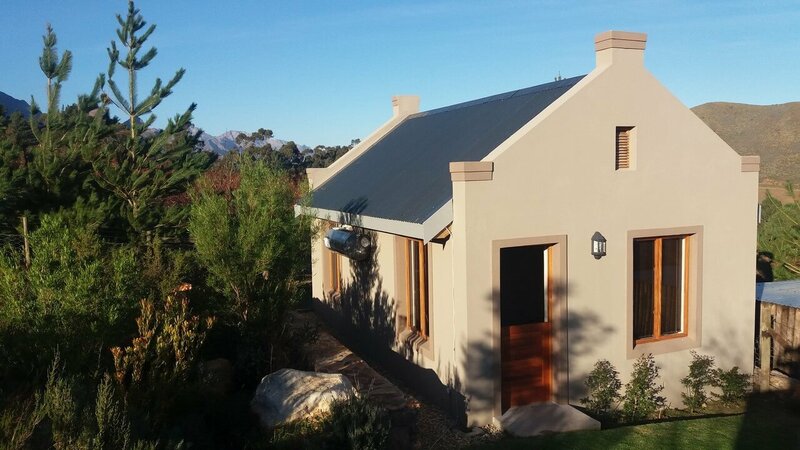 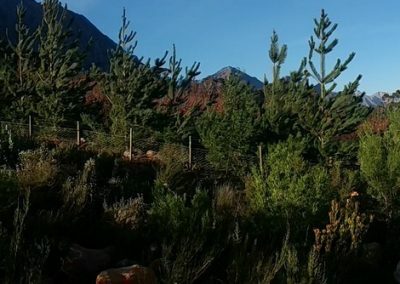 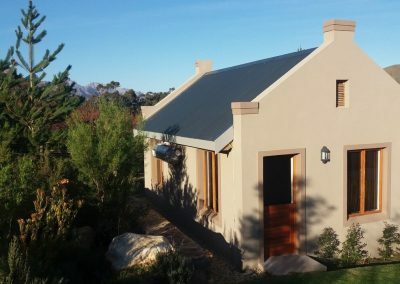 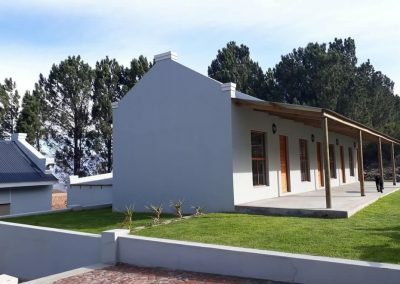 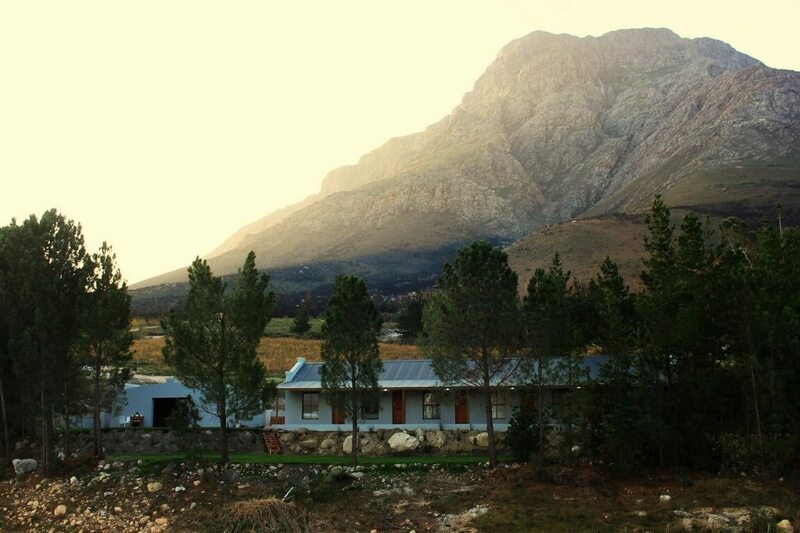 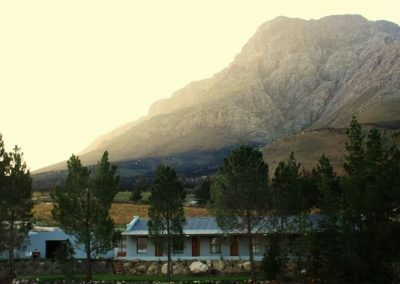 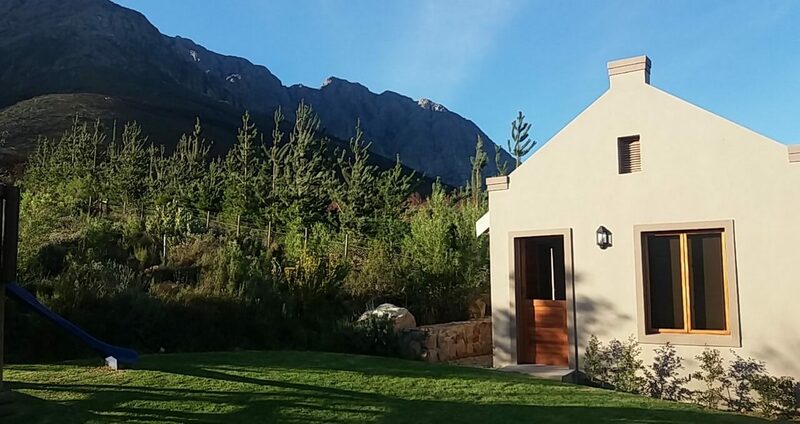 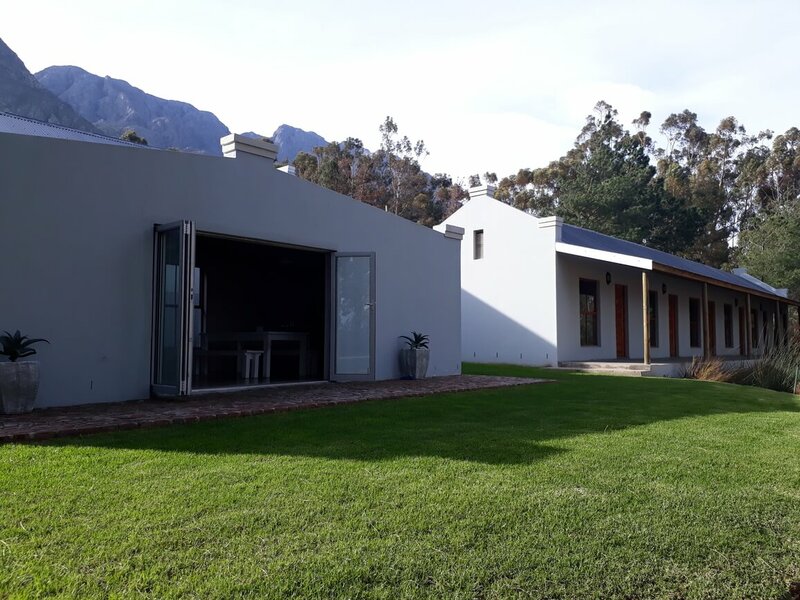 Bergland Accommodation is situated on a working wine and stone fruit farm at the foot of the Olifantsberg Mountain. 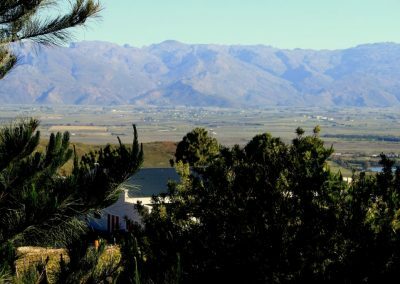 We are about 15km from Worcester and about an hours drive from Cape Town. 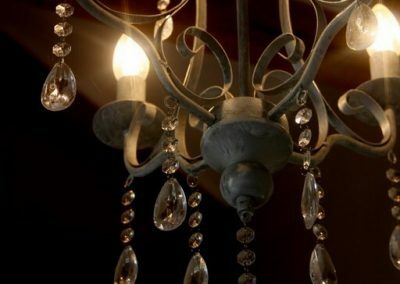 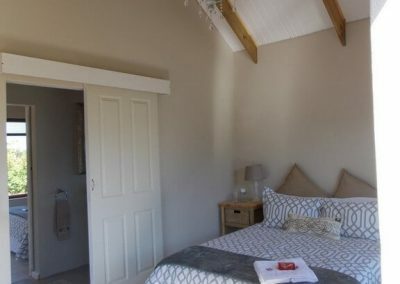 Perfectly situated on the edge of one of the farms dams you will find 10 beautifully furnished rooms. 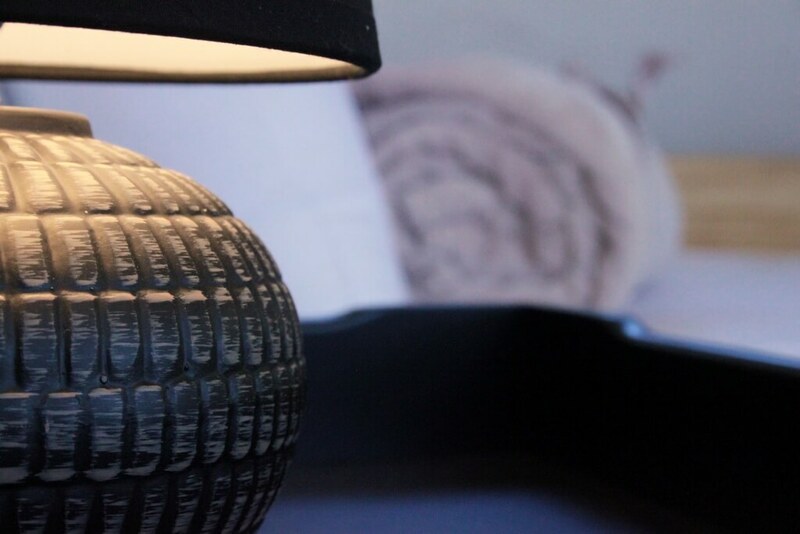 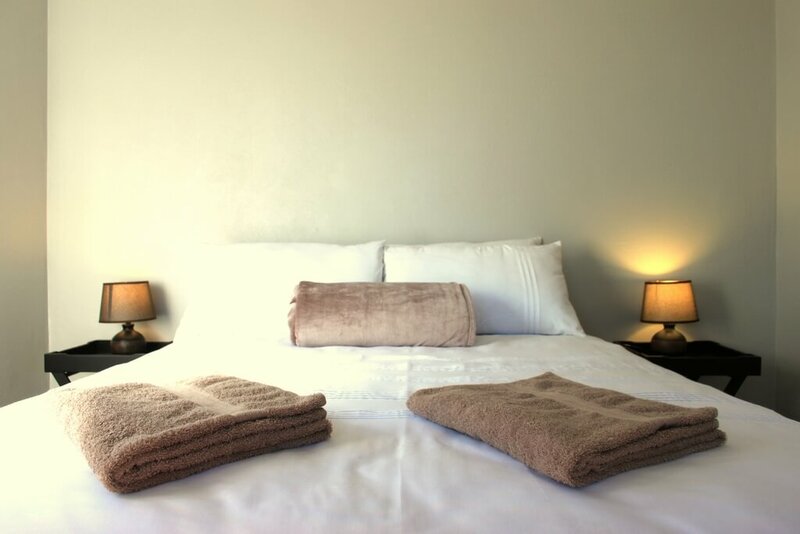 All our rooms offer a double bed or two single beds with crisp white bedding and towels. 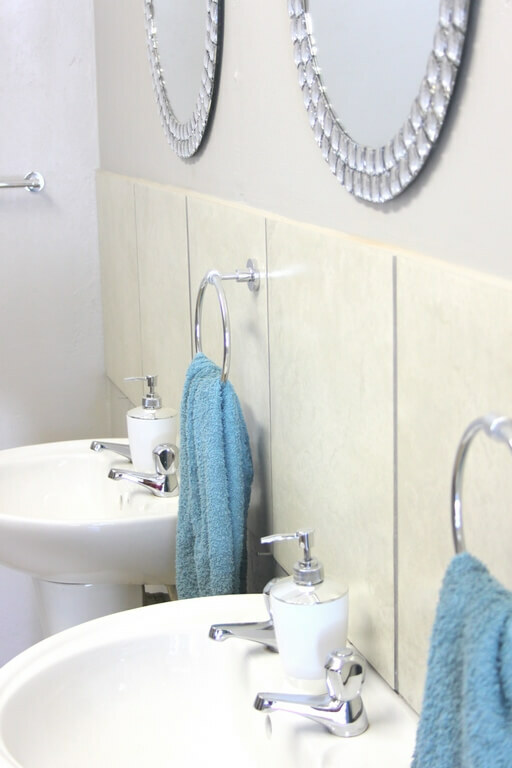 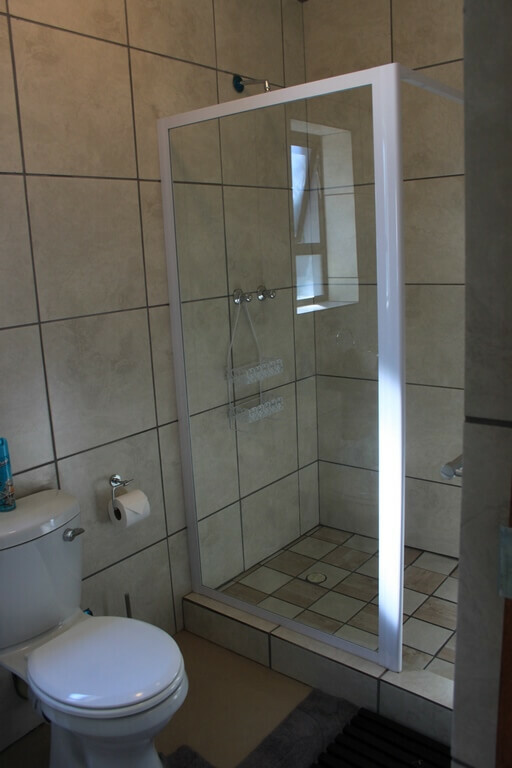 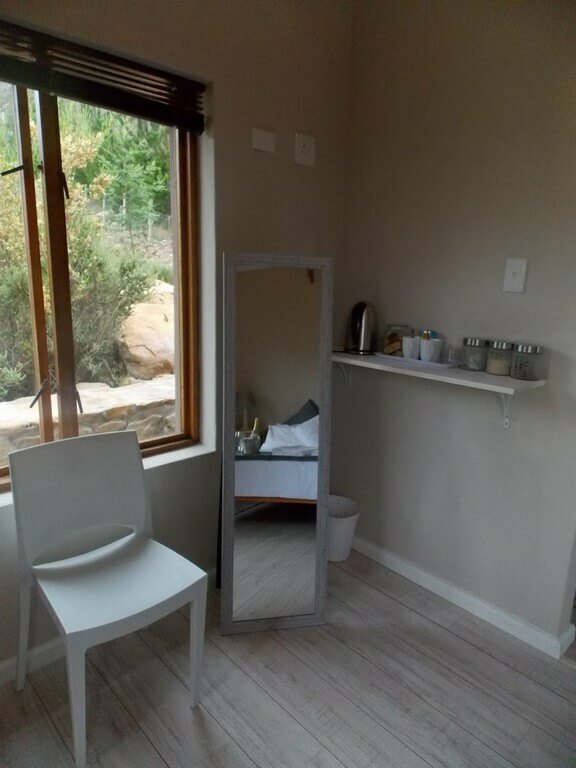 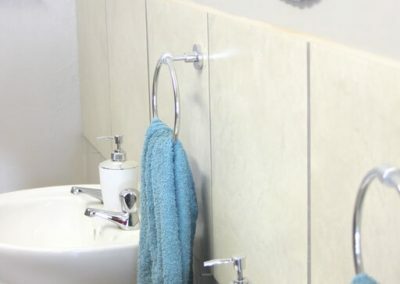 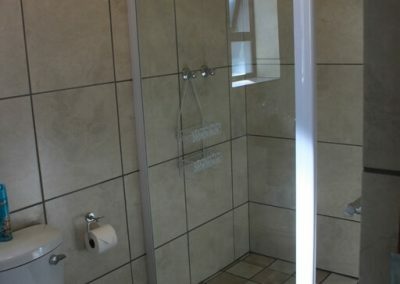 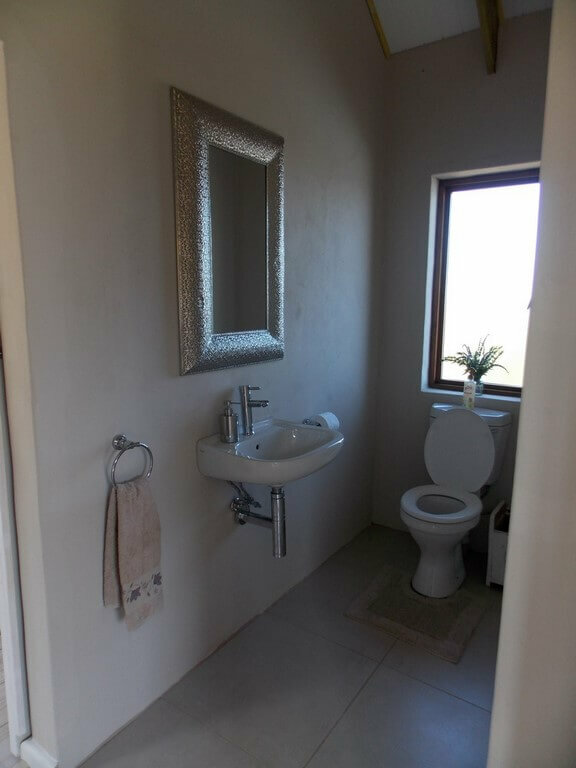 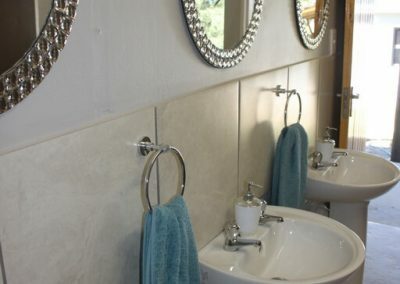 Each room has its own private en suite bathroom and tea and coffee making facility. 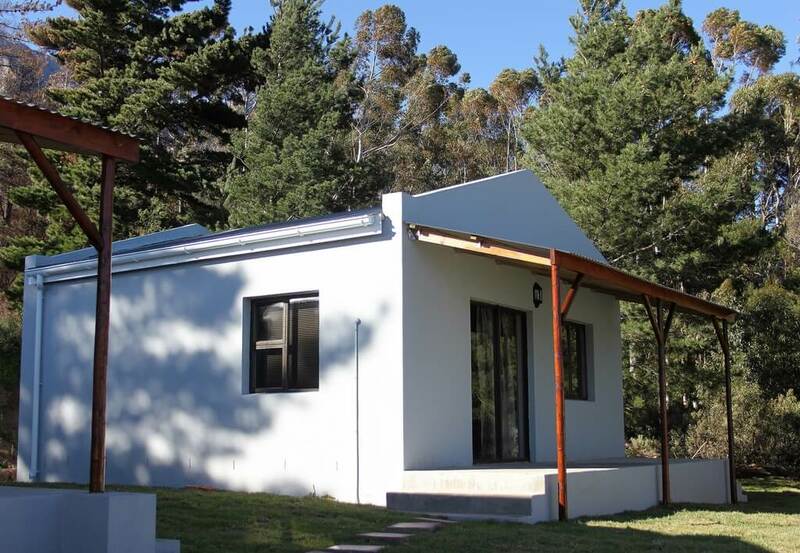 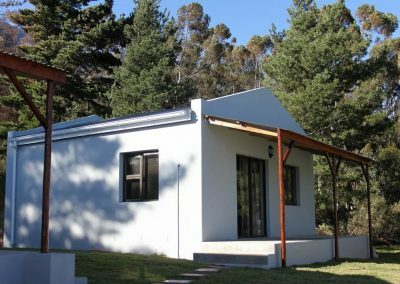 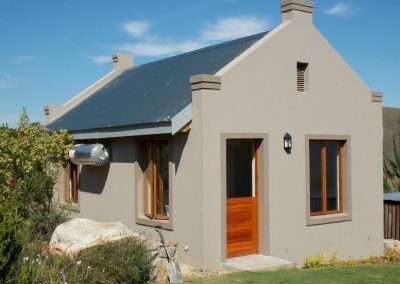 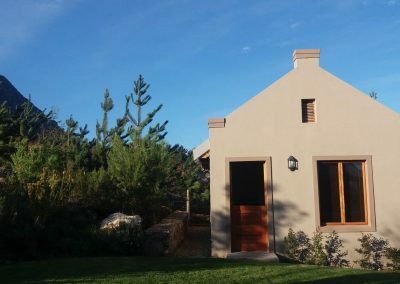 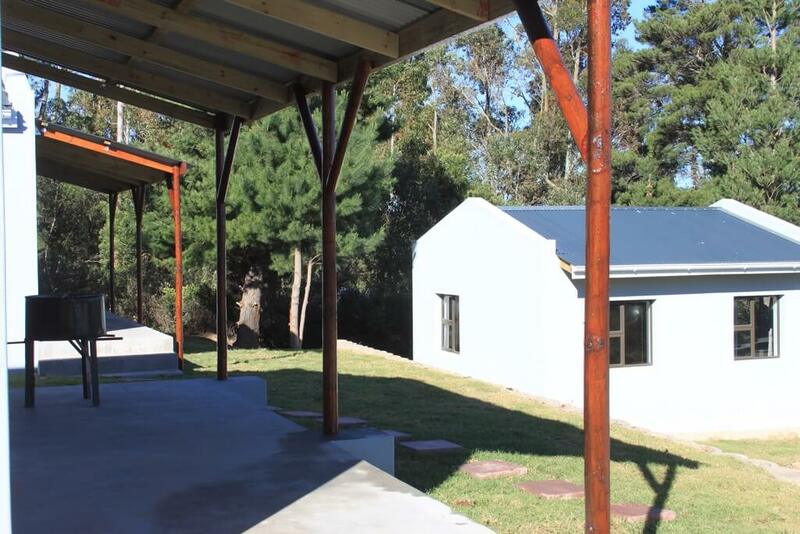 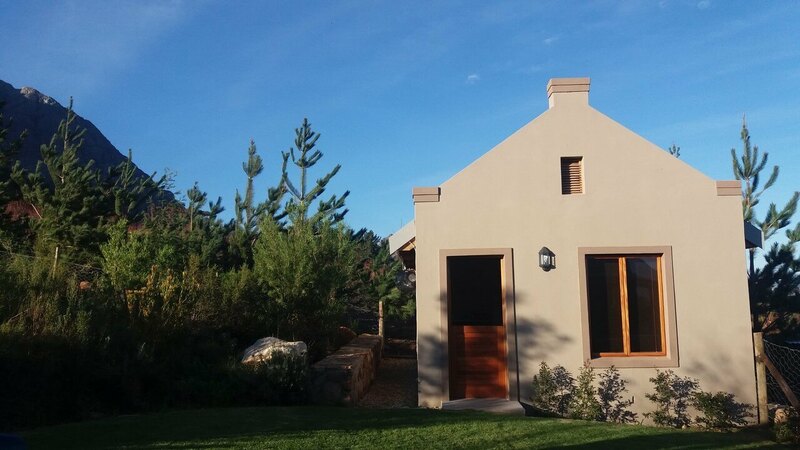 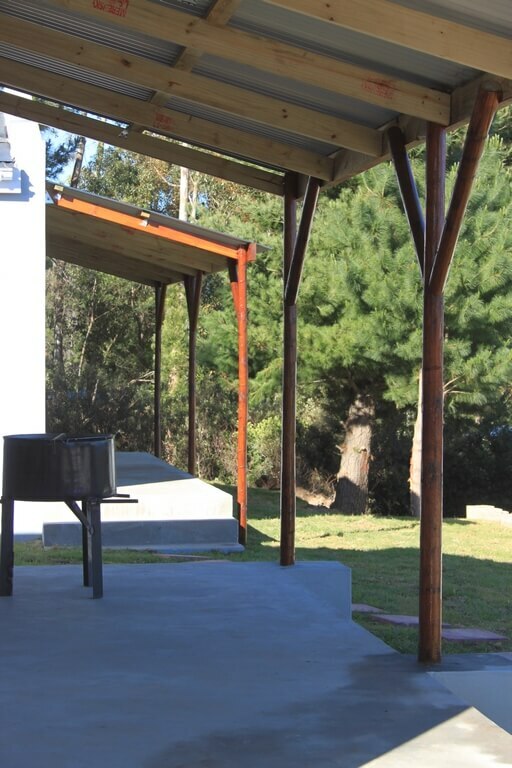 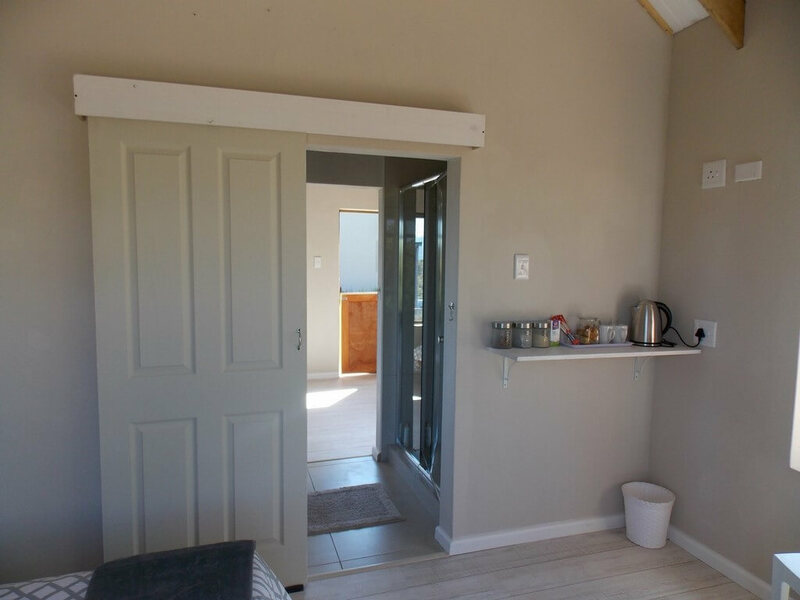 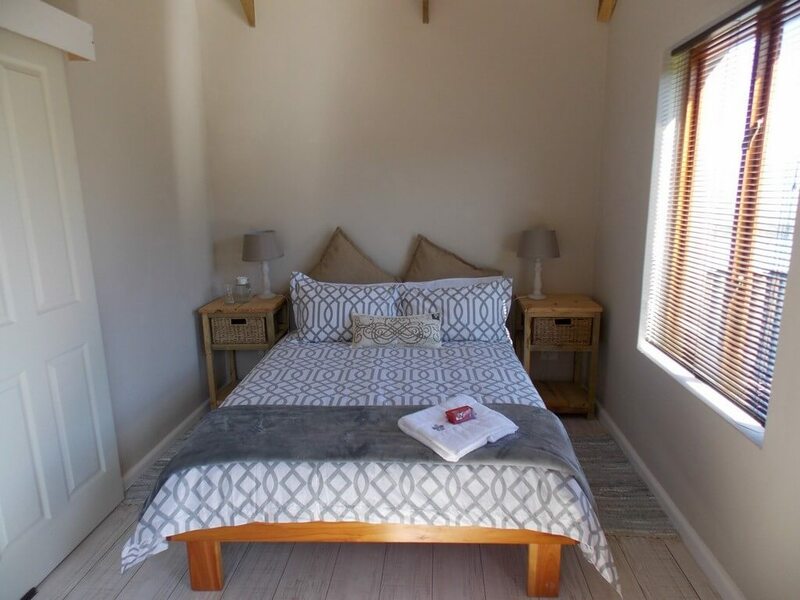 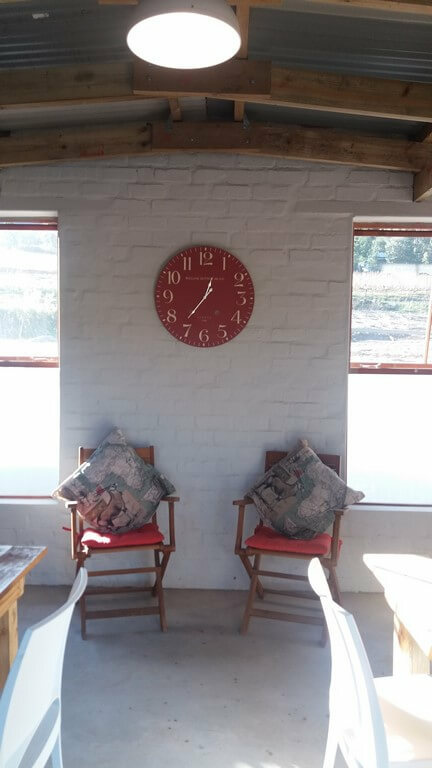 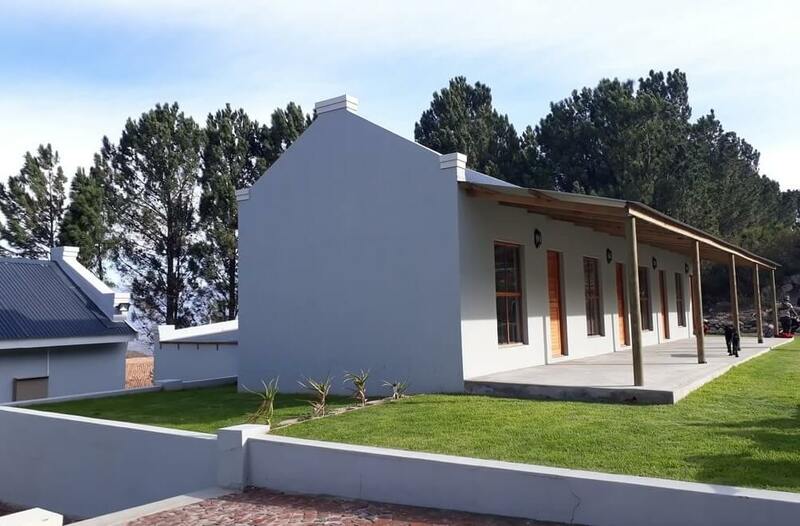 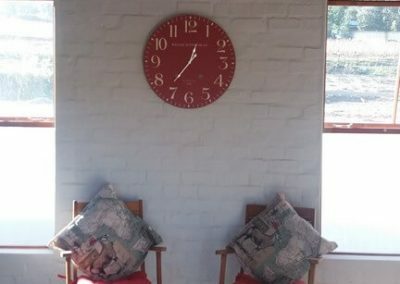 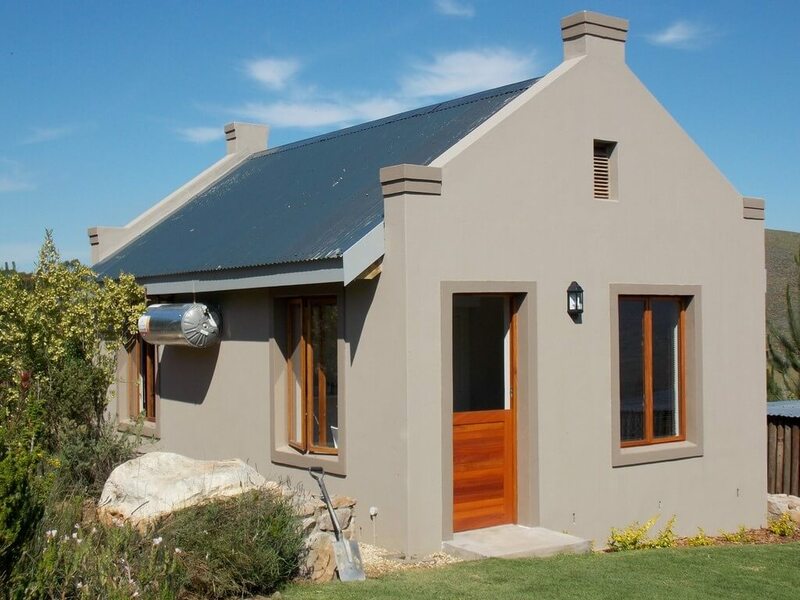 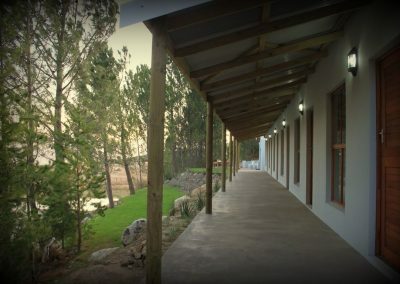 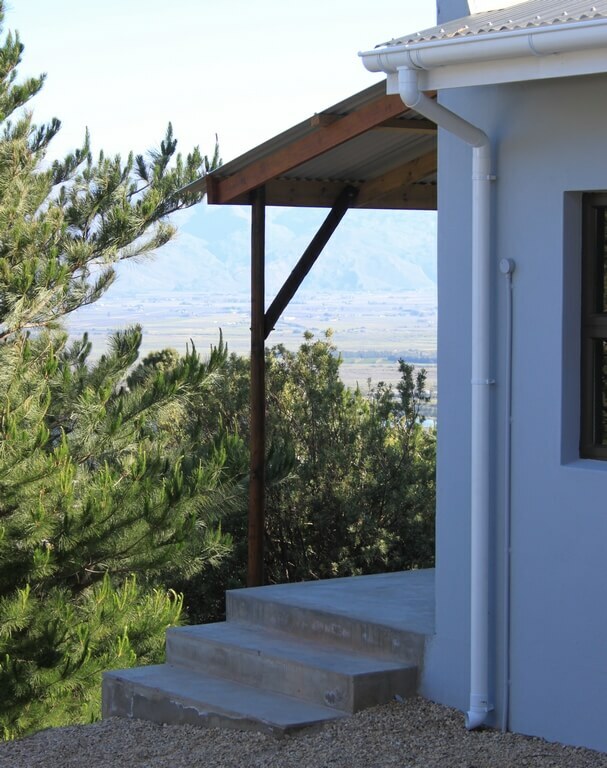 Our farmstyle lapa is situated just a stone’s throw away from our accommodation. 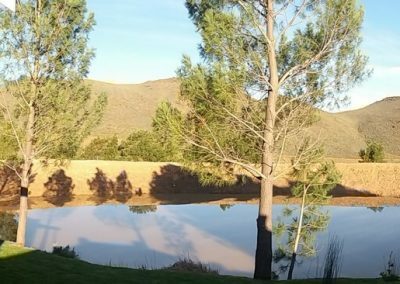 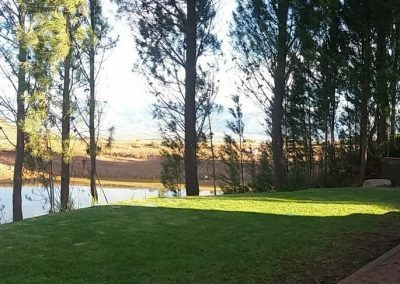 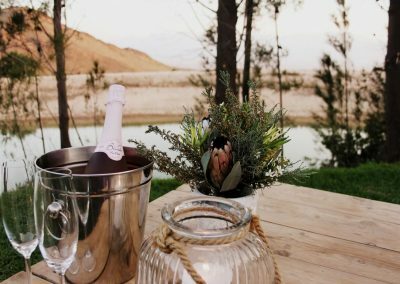 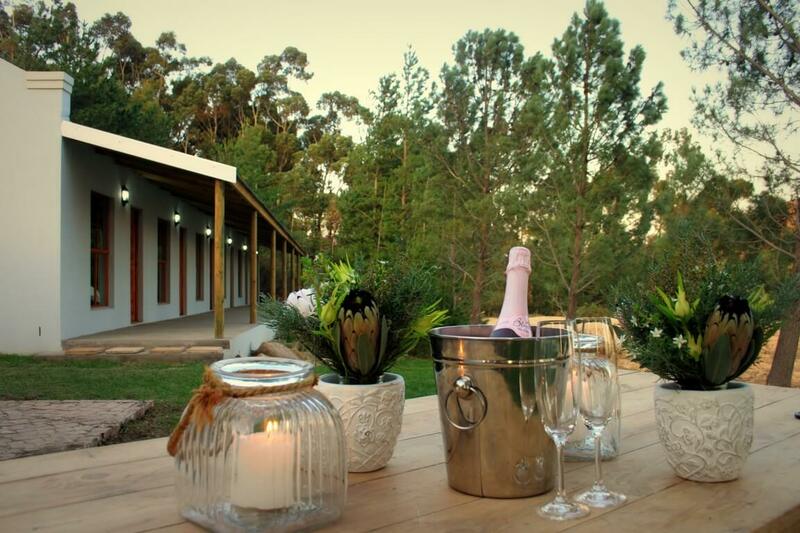 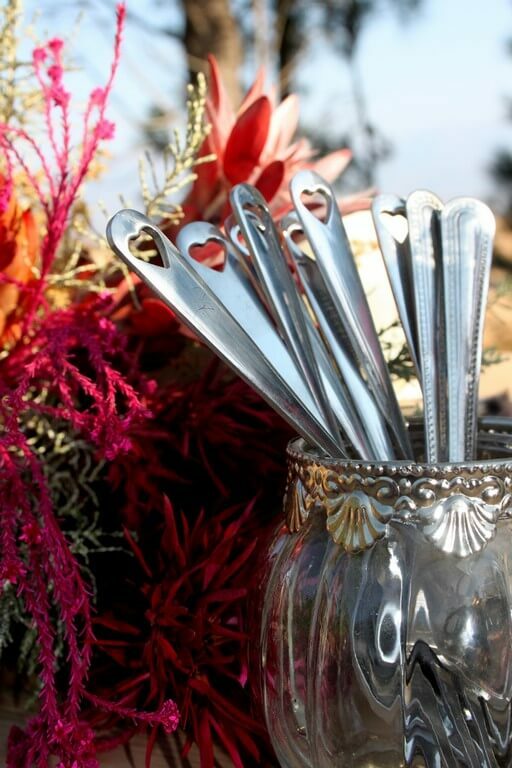 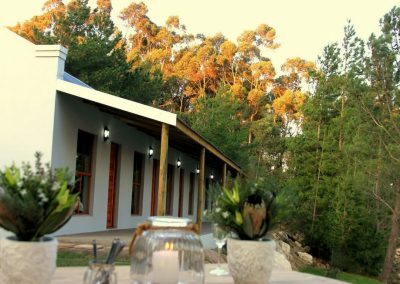 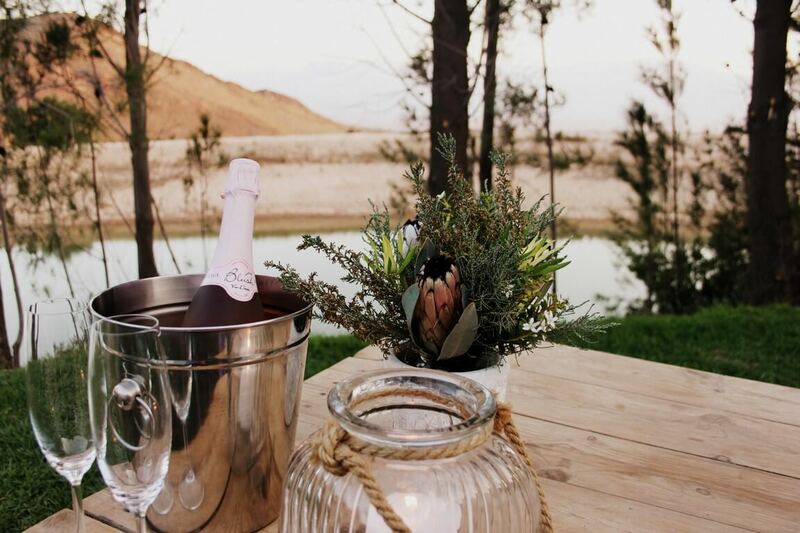 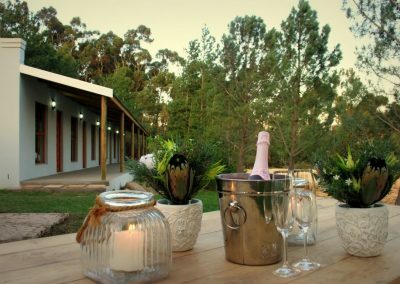 It is the perfect venue for wedding guests to come together and braai on a Friday or Saturday before the wedding at Bergland Wedding Venue. 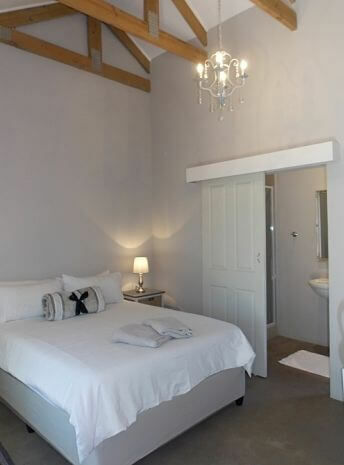 Alternatively book all the rooms and Lapa for your birthday. 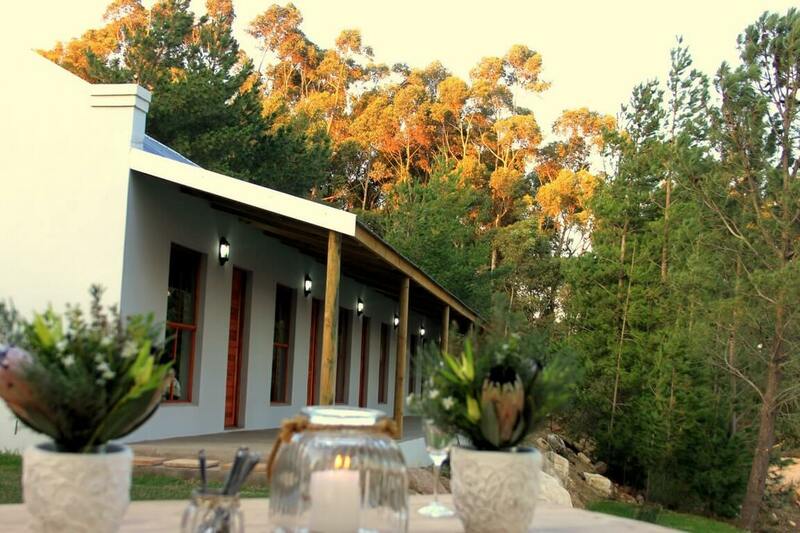 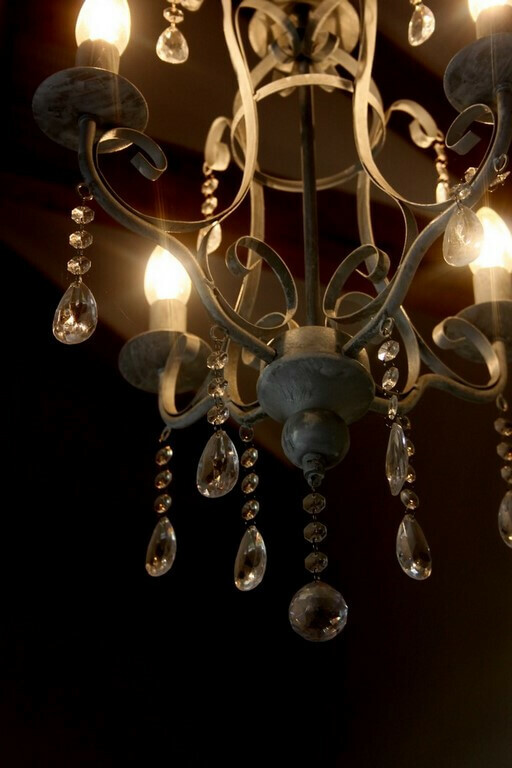 Come and celebrate your special occasion here with family and friends beneath a backdrop of majestic mountain views. 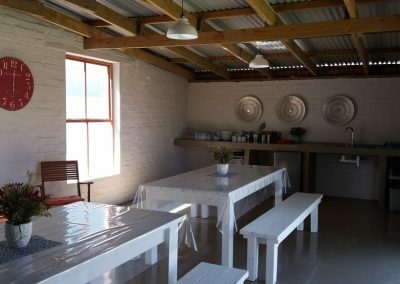 The Lapa is fully fitted with a fridge, microwave and kettle. 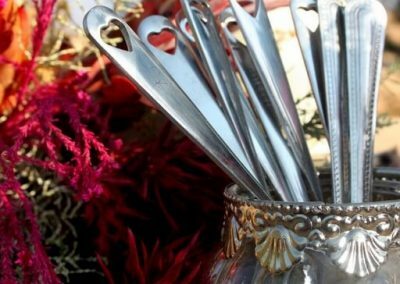 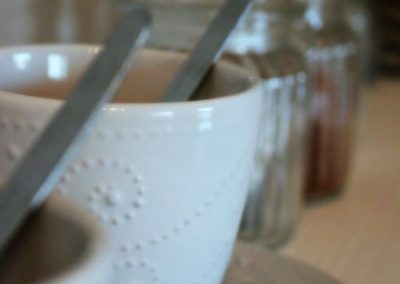 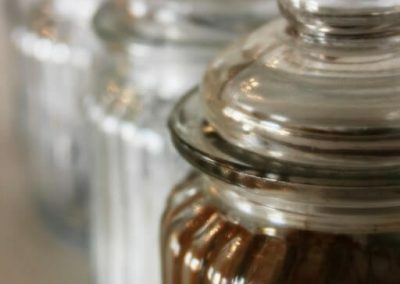 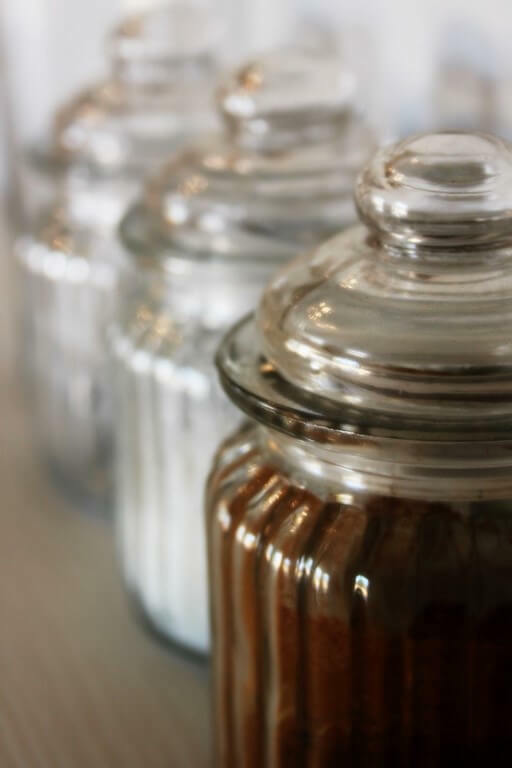 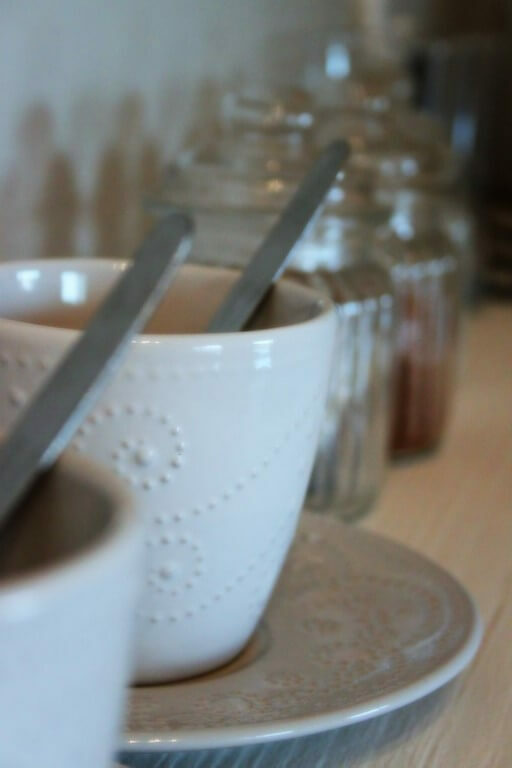 For your convenience cutlery, crockery and glassware are also included, as are washing up facilities. 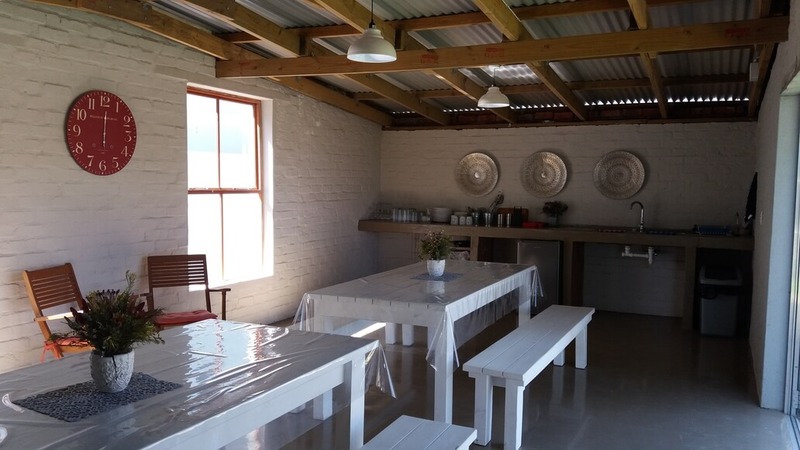 A truly wonderful place to unwind, in a tranquil farm setting, where a variety of walking trails and or mountain biking routes are on offer waiting for you to explore. 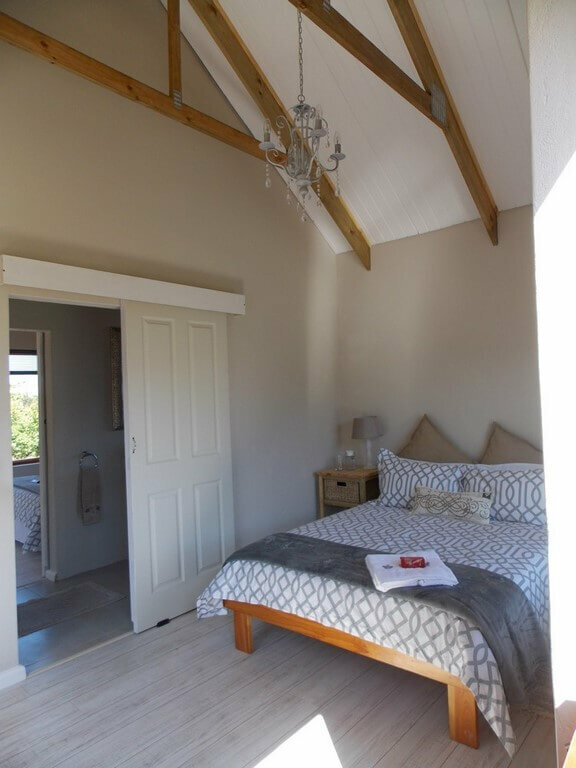 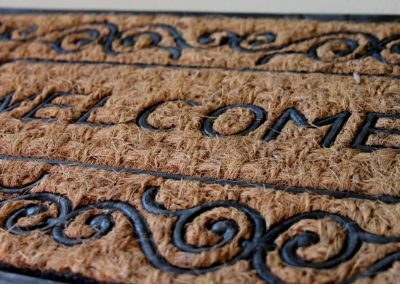 About 150m from our other accommodation and Wedding Venue is a perfectly poised and elegantly furnished 2 bedroom Cottage. 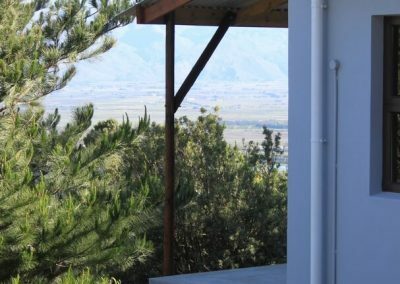 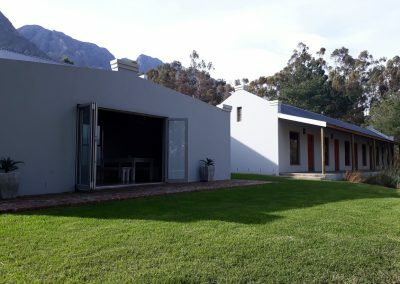 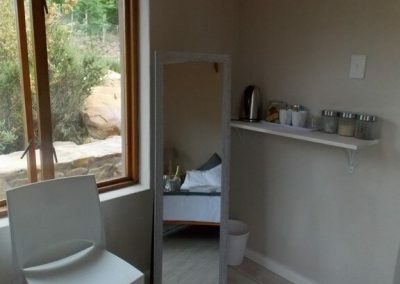 Surrounded with vineyard and mountain views, the bedrooms are connected and divided by an en suite bathroom which they both share. 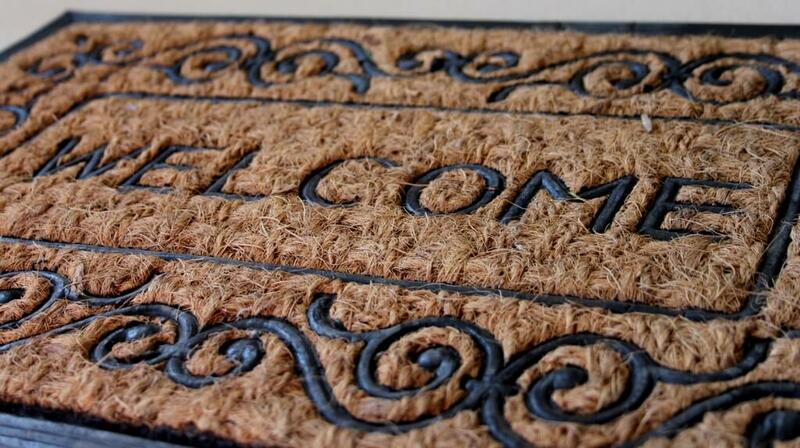 Each room has a double bed with tea and coffee making facilities. 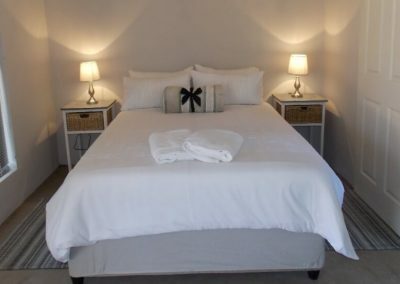 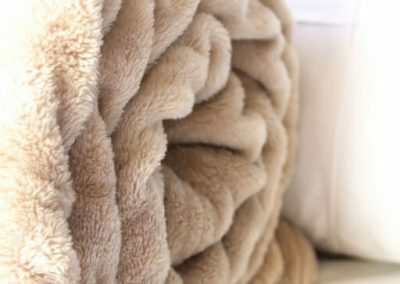 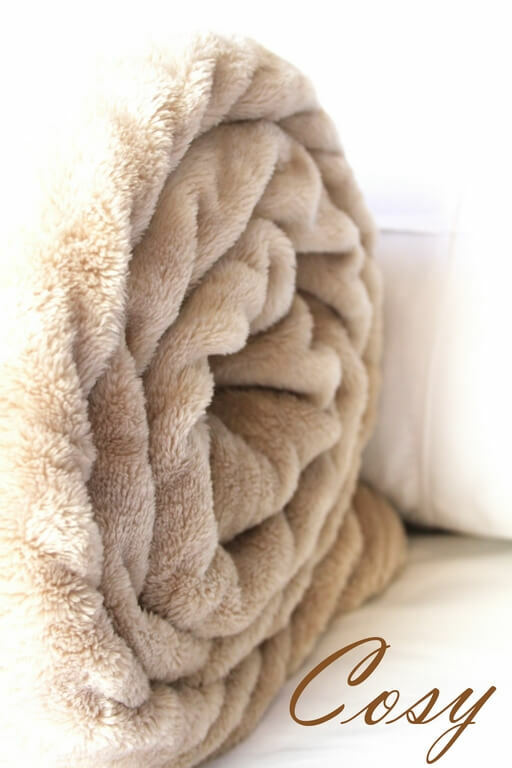 Included is crisp white bedding and towels. 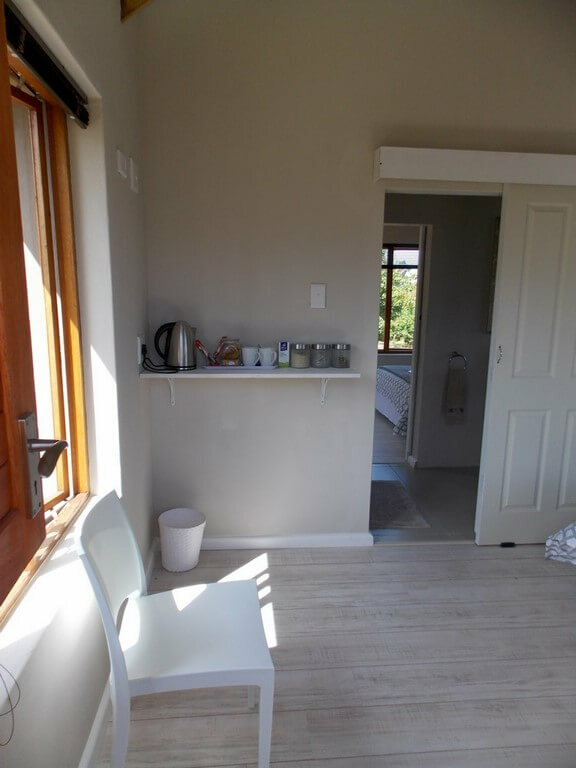 One of the rooms also has a TV with access to DSTV. 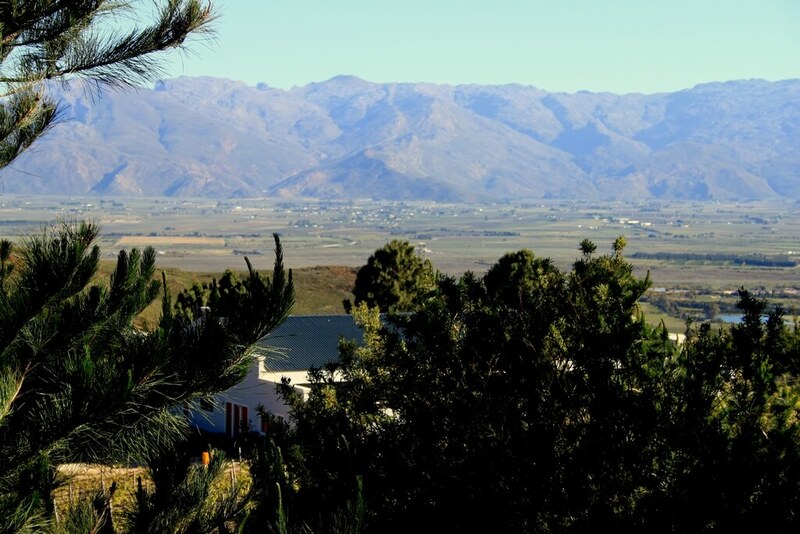 scenic mountains and vineyards where you can experience the beauty and peace of the nature that surrounds you. We have two, elegantly furnished one bedroom chalets each with a double bed with bedding and towels and an extra single bed in the open plan kitchen- living room area. 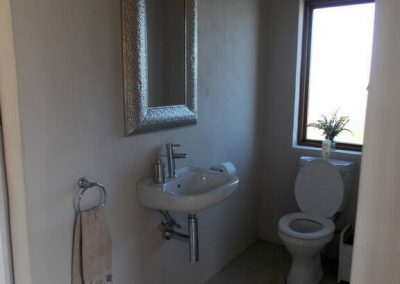 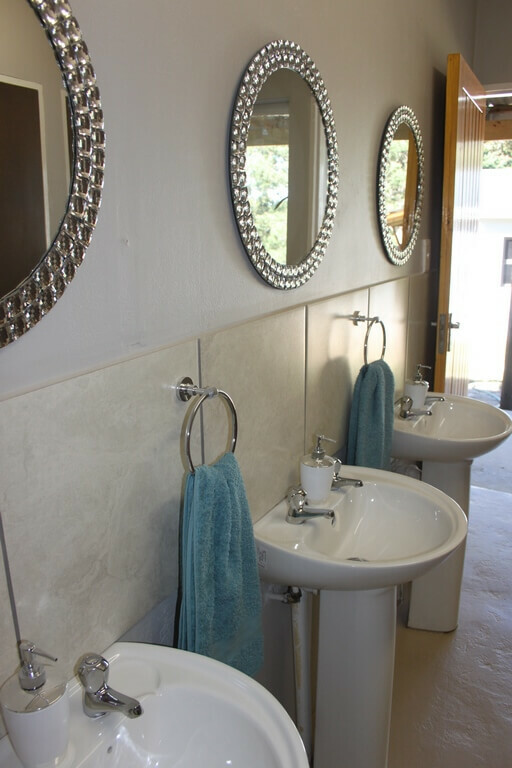 These chalets do not have a bathroom, but make use of the neat, stylish decorated bathrooms outside next to the chalet. 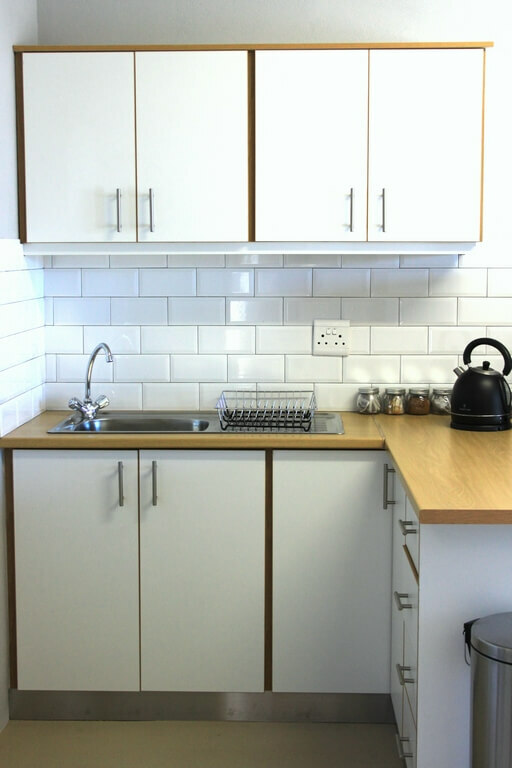 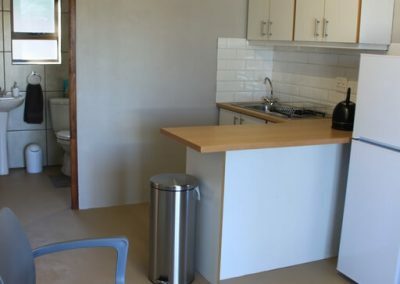 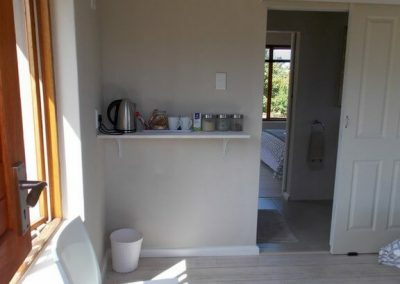 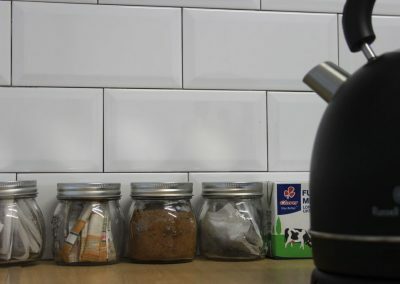 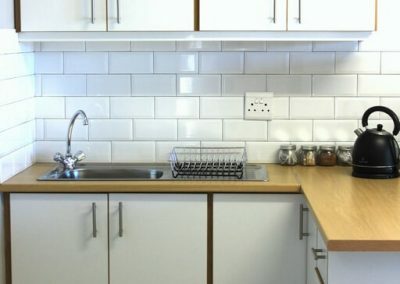 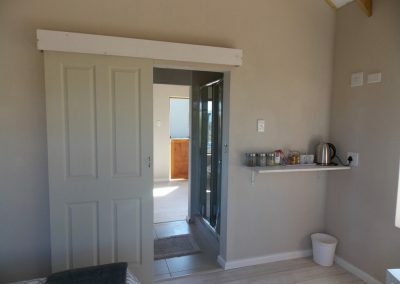 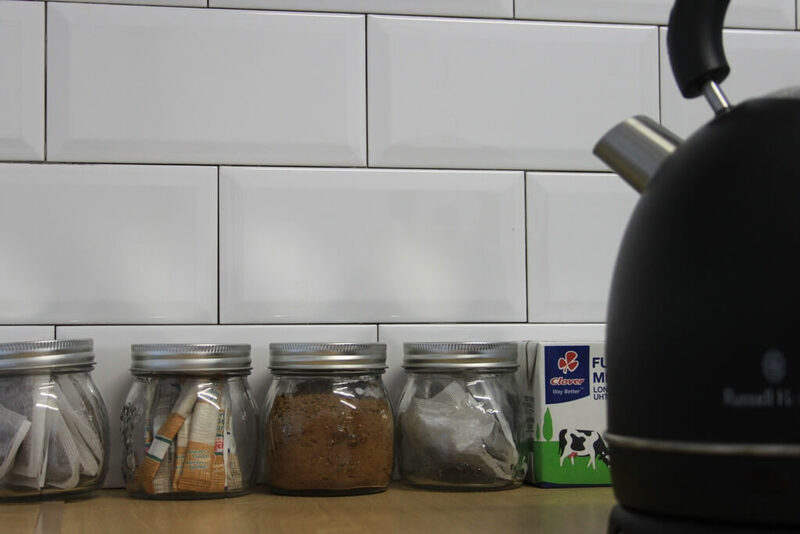 The kitchen area has a refrigerator, microwave, sink, kettle, toaster, electric frying pan, crockery, cutlery and for your convenience some coffee, tea, sugar and milk. 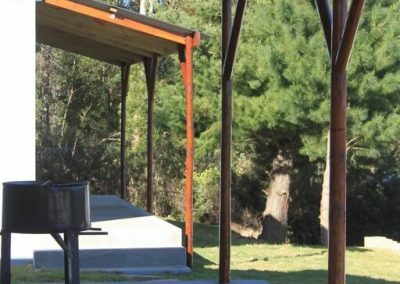 Barbeque facilities are also available. 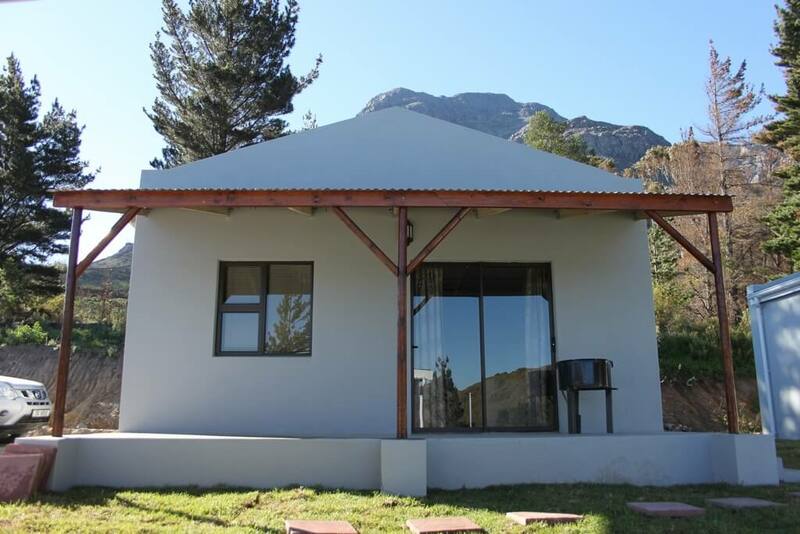 We also have two, elegantly furnished two bedroom chalets. 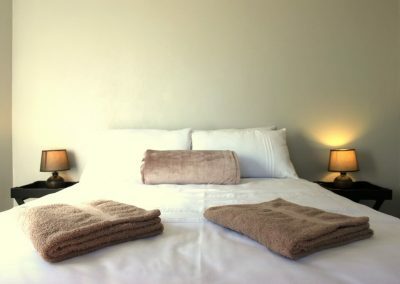 One room has a double bed and the second room 2 single beds with linen and towels. 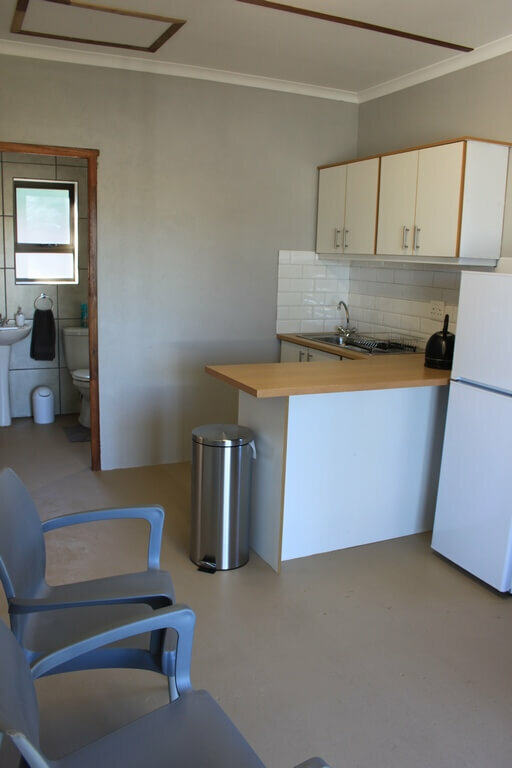 The chalets have an open plan kitchen and living room area and a bathroom with toilet, basin and shower.